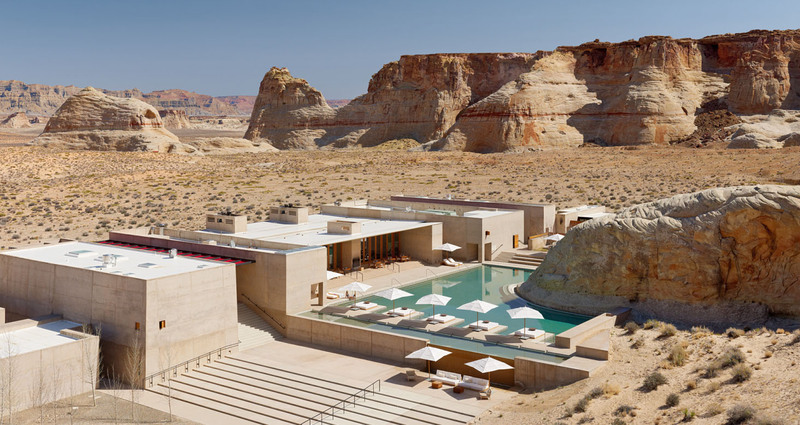 Amangiri is located in the dramatic landscape of Canyon Point, Utah in the region known as the Four Corners where the states of Utah, Colorado, New Mexico and Arizona meet. This stunning resort hotel with deep canyons and towering plateaus in the backdrop occupies 600 acres of land in a valley near the Grand Staircase – Escalante National Monument. From the Pavilion at the centre of the resort, one can enjoy sweeping views of colourful rock formations. 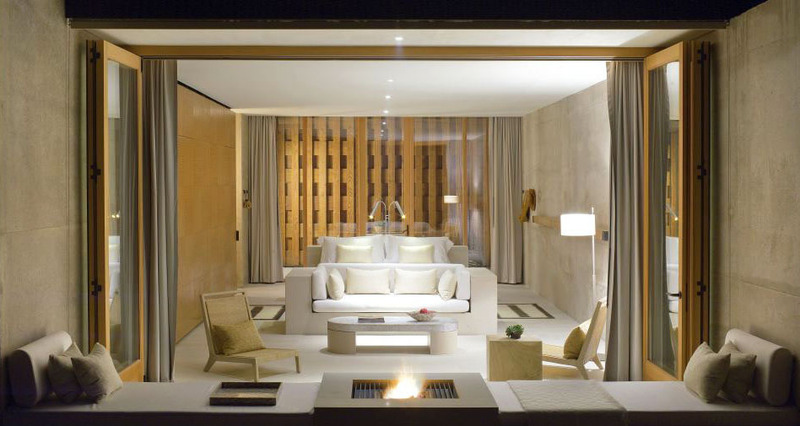 The interior design of the rooms uses white stone floors and concrete walls to echo the natural stone in the area. There is a rustic softness of light colour palette that blends in with the surrounding environment.